Bicycle Racing on a Budget: Getting started. The idea of writing a blog on bicycle racing has been at the back of my mind for some time now and so I thought it best to get a few words down and get started. I won't go into too much detail about myself and my bike racing just yet, I'll just let that develop along as needs dictate. Suffice to say that after many years away from bike racing I'm now back into it in a positive way. I raced as a youth up until I was about 25 years old and then family and work commitments took over and I drifted away to being a weekend warrior. Out at weekends with friends either on the road or mountain bike. I even got into touring for a while but found this difficult to fit into my life. You need plenty of time to get away on adventures with the tent and bike. So a few years back as my girth expanded I started running but kept coming down injured, this led to triathlons, but again running injuries curtailed any decent training and thus performances. So the decision came to me, 'I'm a bikie, stick to what you know best'. So in 2010 I trained hard and aimed at getting a season of time trialling under the belt. I did quite well, broke some personal best times, got lighter and fitter and won a pile of club trophies. Then I came down with a prolapsed disc and sciatica and I had to take time of work and 7 months of the bike. I managed to start training again in March 2012 with a few races in August onwards. It was however in 2013 that things began to pick up. After a good solid winter I competed in local time trials and league road races with some good successes, plenty of top 6 results, a win in an evening league race, which came as quite a surprise, and a few top 10 places. 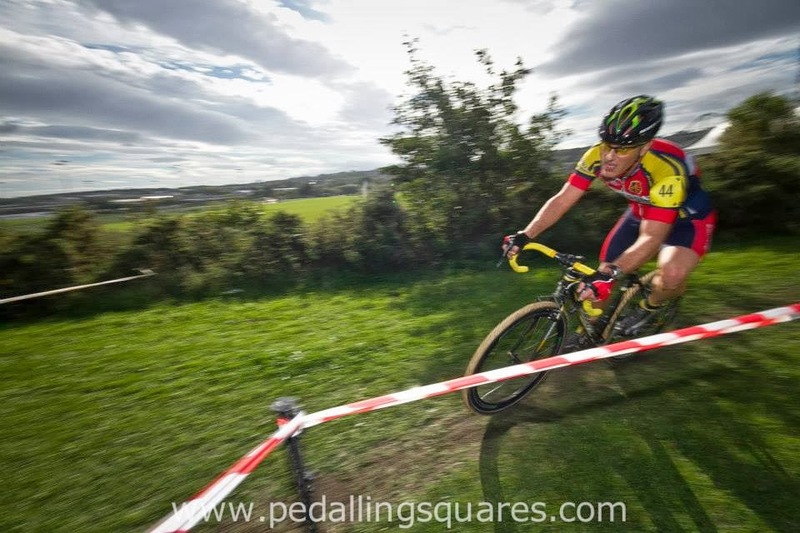 Then this winter I got back into cyclo cross and I've had 3 wins and an overall win in one league and many top 10 placings in the British Cycling veteran cross league. My first cyclo cross race in 15 years at Yarm on Teesside in September 2013. 11th place and a newly found determination to do better. It's been a lot of hard work and graft with the training and quite a bit of cash on gear. I presently work part-time so time is relatively plentiful. I have a lovely supportive wife who loves to come along and help, which is a massive bonus. However cash is limited and maybe more so next year as I am under threat of redundancy. So the idea took shape of sharing my next year, bike racing on a budget. So if your expecting to see Zipp wheels and Cervelo bikes on here stop now, there won't be any stuff like that. What there will be is a lot of getting by with old kit, useful tips and money savers, short cuts and results! Over the following weeks I need to establish what my aims and objectives will be for next year, bearing in mind the reduced limited budget I will be on. I also need to 'stock-take' on my present stable of bikes and just work out exactly I can afford to replace and upgrade for next season. It will give me a good idea of a budget expenditure for the year, but will also allow you the reader get an idea on the type of equipment required for racing. I'm hoping that by documenting the year and all it's trials and tribulations and hopefully a few high spots, it will give an insight into racing for newcomer's and that you don't need the best modern equipment and bikes to compete. Money has to be spent but by targeting good quality equipment and parts this can be kept to a minimum. Well that's it really. We will see how it develops through the year and if you read it I would love you to contribute and get involved. no doubt I will learn as much from you as I hope you will from me.